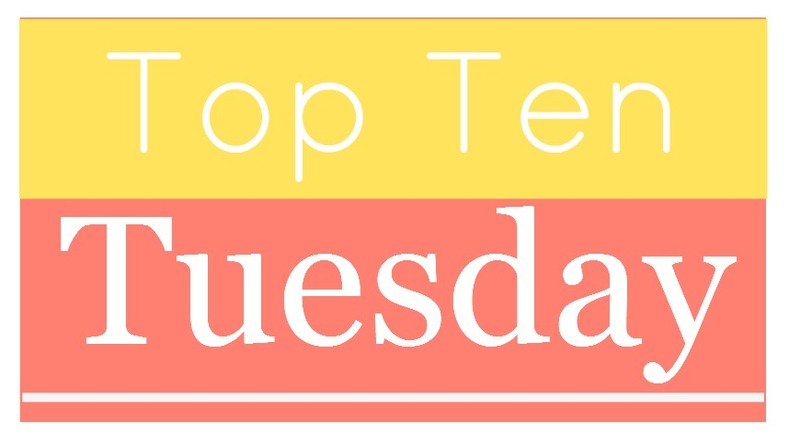 It's been a hot thirteen months since I last participated in Top Ten Tuesday, hosted by the lovely folks over at The Broke and the Bookish. This week's topic is all about audio, and so I thought I'd split it up between my ears' two loves: audio books and podcasts. This was one of my favorite books of 2015, despite some serious reservations about Kesey's portrayal of women in the novel. Tom Parker brought our protagonist "Chief" Bromden and the interior world he was trapped in to life more than my internal narrator could ever hope to. In high school, I almost read this entire book in print. Clocking in at a mere 127 pages, the fact that I didn't finish it says a lot. Donald Sutherland's portrayal of Santiago got me all the way to the end in a single evening. This book has the added honor of being the first audio book I ever listened to after assuming for so long that I would not like them. Okorafor's story of a young woman on a journey to avenge her mother's death (and become a kickass magician in the process) was spellbinding when read aloud, but the prose may have been a bit too sparse for me in print. I tried this once in print but wasn't pulled in, and back to the library it went. To be trite, Gaiman's narration of his own tale of childhood and magic was just a treat. If you have not read or listened to this, I highly recommend pulling up your preferred audio book source and hopping to it. You all knew this would end up here. I tried reading this fantasy novel two or three different times in print and kept abandoning it. After loving The Fifth Season, I wanted to try again. It took two tries, but I finally got swept up in Jemisin's world built upon the importance of dreams and the politics surrounding them. I am so glad I can stop writing about how much I need to read this one. I have been making significantly more time for my podcasts than for my audio books lately (damn you, US election cycle), so I would be remiss not to mention a few of my favorites. I chose to highlight the ones that aren't dictated by our presidential candidates' every move. All data, all the time. FiveThirtyEight's Jody Avirgan covers what happens when we quantify our lives, often with funny, fascinating and poignant results. It makes this research nerd's heart sing. I think I stumbled upon this one while browsing through BeyondPod's category tab, and I'm so glad that I did. Rupa Shenoy illustrates the various angles of what it means to be an immigrant (or an immigrant's child) in America. If you want to learn more about what it means to be "other" in the USA, this is a great place to start. This find came courtesy of Jenny from Reading the End. The various contributors talk race in America, from the lightest subjects (why don't black people like the outdoors? hint: history and stereotyping) to the heaviest ones (ongoing, never ending, omnipresent police brutality). Amy of Read a Latte turned me on to this fabulous bit of serialized fiction. People actually thought it was real when it first aired, and I can see why. It takes an episode or two to really hit its stride, but this Serial-esque investigation of a research facility (and how more than three hundred people mysteriously disappeared from it) will have you wondering who cranked up the A/C. Listen with a friend so you have someone to cling to in fear. I recommend: Just start from the beginning and listen to it all. I'm jumping the gun a bit here since I haven't listened to this podcast yet, but I discovered it today by accident (potentially embarrassing admission: I was looking up the exact definition of the word "lore") and cannot wait to dig in. The show page claims to uncover "the frightening history behind common folklore." Color me intrigued. I recommend: To be determined once I listen myself! What do you all fill your ear holes with? Give me some recs!